Huntington Beach, March 27th 2011. 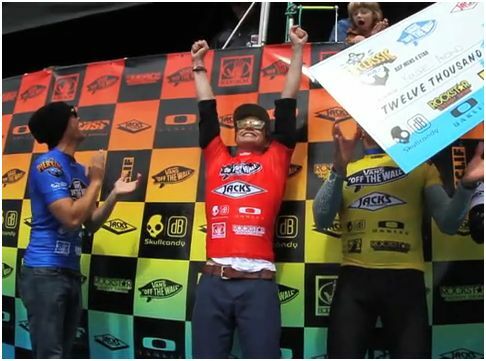 Kolohe Andino double dips winning both the ASP 4 Star & Pro Junior. In back to back finals he took down Taylor Knox, Damien Hobgood, Adriano de Souza, Luke Davis, Conner Coffin & Jacob Halstead. At the start of the contest, the waves were small and mushy, but clean enough for some good maneuvers. As the swell built from the south and the wind from the north, the guys started to get all different types of waves (typical Cali beach break). As the days went on, HB sent in some waves that gave the surfers a chance to show the crowd their stuff. Having World Tour competitors show up for this event and guys like Andino, the show was nothing less than spectacular. 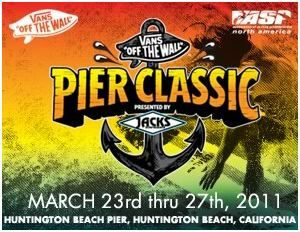 Starting off the event with a win in the Jr class, Kolohe saw the waves get better and a chance to really surf hard. Coming down to the finals, there were three World Tour surfers,Damien Hobgood (USA), Adriano de Souza (BRA), Taylor Knox (USA) and Kolohe went at it with some nice rides getting put down.